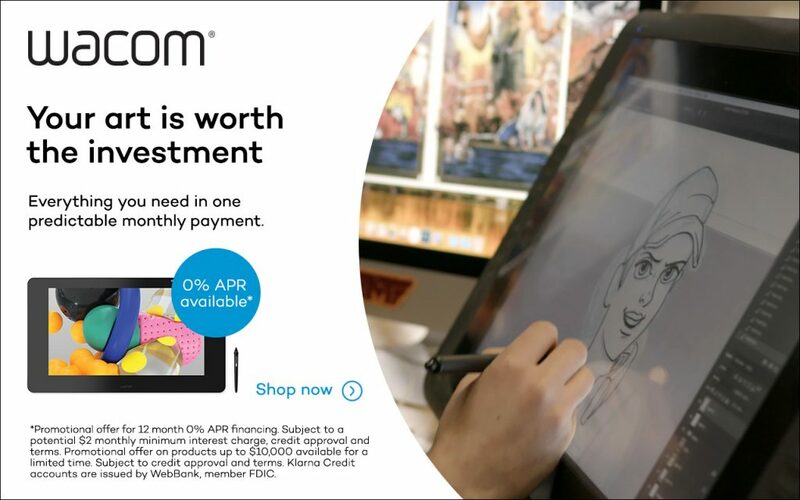 Wacom introduces 0% APR financing on their United States eStore. All professional grade products are available for purchase with this special promotion. 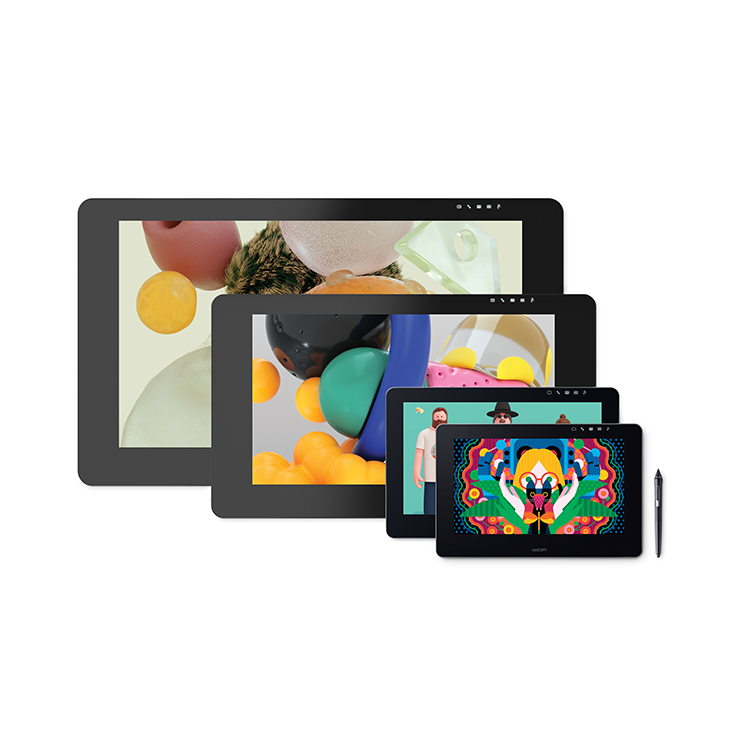 Now’s the time to get your hands on a MobileStudio Pro or Wacom Cintiq Pro. Monthly payments start as low as $55/mo* with 0% APR for 12 months. Only available for US customers. All the computer power needed to run industry standard creative software, including demanding creative 2D, 3D and CAD applications, anywhere, anytime. Create directly on screen with our most natural pen experience. The new Wacom Cintiq Pro provides a pen-on-screen drawing experience like no other. 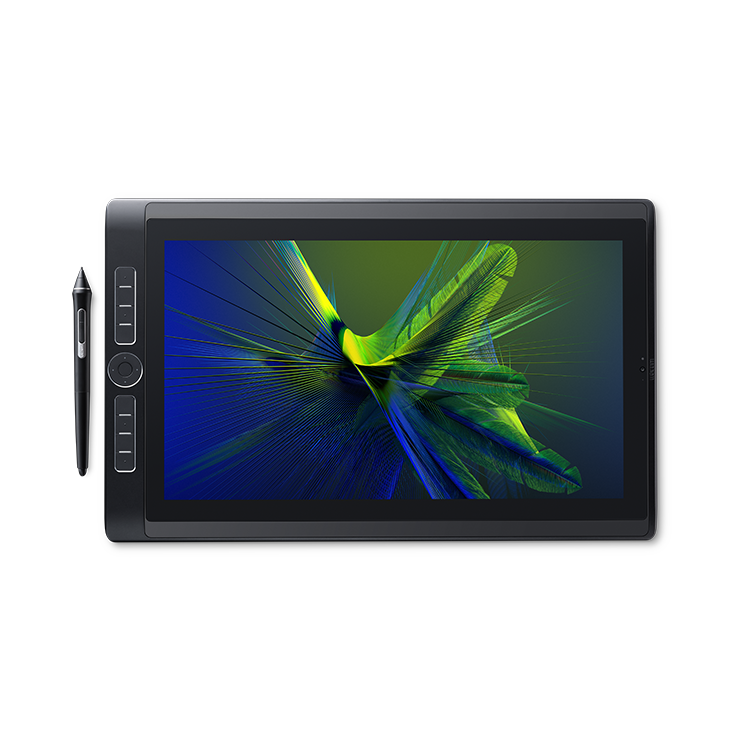 Crafted for professional artists and designers, it combines our sensitive new Wacom Pro Pen 2 with a rich resolution to give you the most advanced, intuitive creative pen display ever. Wacom Cintiq Pro works with Mac and Windows, so it will fit into your workflow seamlessly. *Monthly payment based on 0% APR at 12 months with an estimated total of $649.95. Estimation excludes tax and shipping charges. Promotional offer. Subject to a potential $2 monthly minimum interest charge, credit approval and terms. Promotional offer on products up to $10,000 available for a limited time. Subject to credit approval and terms. Klarna Credit accounts are issued by WebBank, member FDIC. Only available for US customers.